thanks for entering!! I like the idea of using black paper as the background! How did you prop it up? The dog in the video was sooo cute, he looked like he wants to eat the obento! 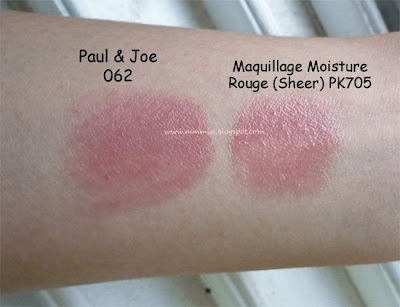 I do agree with you that the Maquillage Moisture Rouge is a lot glossier than the P&J and has more color payoff, especially for pigmented lips. Bento boxes...brings back childhood memories..used to take on to school everyday in Japan! You've such a pretty lips shape! 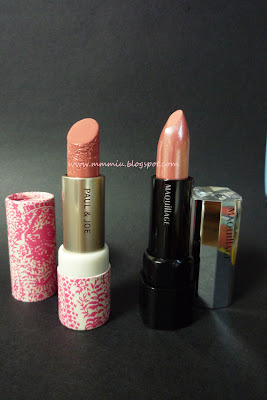 And both of that lipsticks looks nice 'n shine! Seems like so soft and pretty moisturize!! 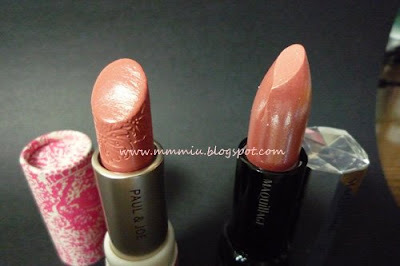 Gotta love those Moisture Rouge lippies!!! They're really great lipsticks. wow...i think i'd be a bad japanese mother...that is just too much work for one little bento! hahaha. 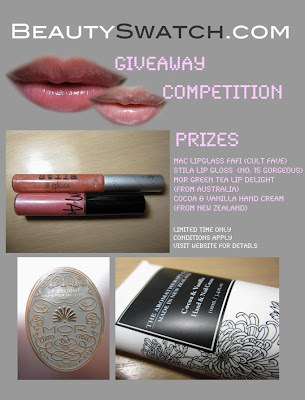 The Maquillage lipstick looks so pretty - looks very glossy! 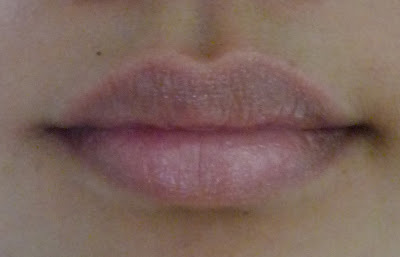 I love sheer & glossy lipsticks the most! mmmm bento box! I wish I had the time to make this for lunch everyday! i saw that youtube video already!! hahah man it would take me hours to make that :( the lip colour is very pretty!! awwwh! bento! i wanna learn how to make some freaking awesome bento :D hehehee.